This is new innovative tour & travel booking system developed using AngularJS, Bootstrap, and responsive design. 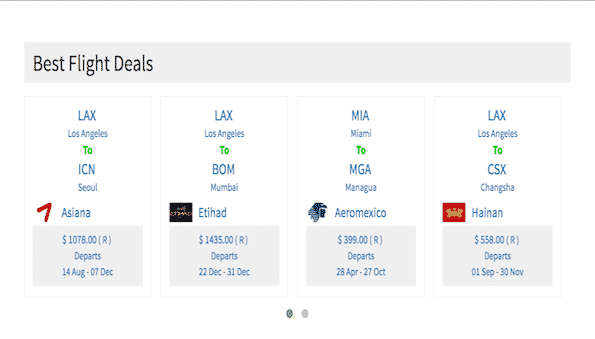 This website allows traveler to book international flights, cars and accommodations worldwide. 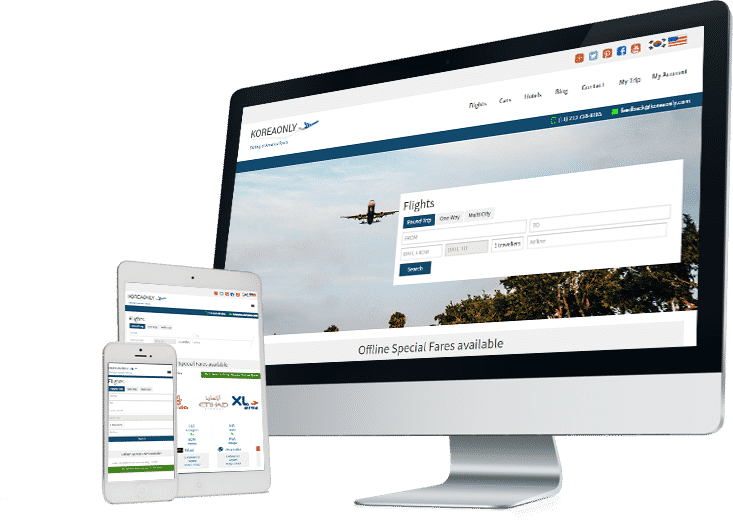 We have designed this website with robust booking and payment processing system that allow users to quickly find cheapest fares and flight, cars and hotels details in order to book their desired destinations. User can search and filter flights from various airlines. User can book flight for Oneway, Round Trip and Multicity. User can explore best flight deals. User can explore Thai Airways Deals. User can access Flight, CarTaxi, and accommodations booking services. User can get benefits of free cancellation facility. User can access flight, car and accommodation details. User can access discount & offers sections. User can access blog & social media pages directly from website. User can access website from web as well as mobile browsers. Client wanted to develop a robust application that can be used for all type of transportation bookings like Flight, Car, and Hotels. He wanted to collaborate several Travellers and Airlines service providers in a single platform. We have developed this web application using latest web technologies like AngularJS, Bootstrap, HTML5 and responsive designs. This application provides best and cheapest flight deals all across the world as well as taxi and accommodation booking facility. This website has destination search, booking, payment, cheapest deals and other capabilities.